I was kind of hoping I could include yet another cute cat-and-book picture but my cats are being totally skittish and petrified of me, my cell phone, and books. Divas. I had planned a 1940s themed dinner with friends whom I strong-armed into reading Mr. Churchill's Secretary with me, but then one thing after another derailed our plans. I'm still hopeful -- and my wife is now chomping at the bit to make a vintage, ration-quantity meat pie in which the meat is extended, so to speak, with oats. Yum! (?) 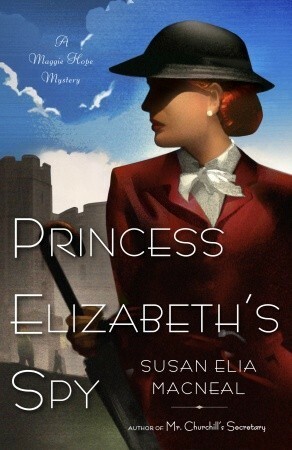 It's on my mind again since I'm reading Susan Elia MacNeal's Princess Elizabeth's Spy this weekend. I'm totally girl-crushing on that Maggie Hope. 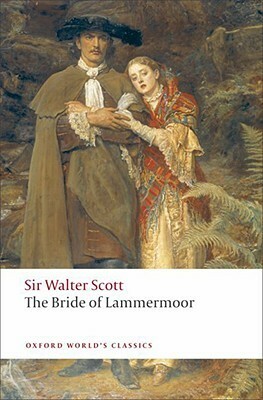 In typical fashion, I can't limit myself to one book, so I'm also working on Water Scott's The Bride of Lammermoor (NaNoWriMo research!) 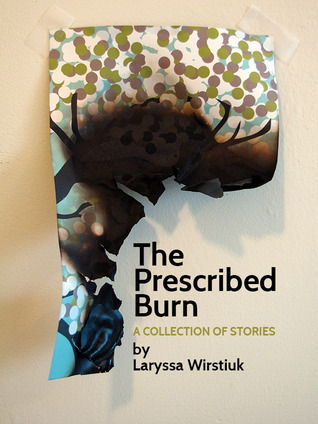 and The Prescribed Burn, a collection of short stories that immediately won me when the author described them as "stories for anyone who couldn’t relate to Holden Caulfield". Ding ding ding! Lots of yumminess all around. I've updated my blog roll for my blog. In addition to the right-hand bar with some regulars, I've created one on the left that is every blog I 'follow' on my RSS reader. I'm hoping seeing those updates will mean I comment on them more regularly, too, and I think they're all fascinating folks who should be read. My dog never lets me takes pics anymore. I haven't posted a new pic in a while because every time I take the phone or camera out, she turns her head and refuses to look at me. If I record her, she licks the lens. So, I can see why your cats are being divas. What am I reading? I am about to start Bauermeister's new book (Lost Art of Mixing) but the last time I read a book of hers I had no food in the house and was ravenous afterward so I really need to make sure I've got stuff simmering away before I read it. Ti, I haaaaaaaaaaate it when that happens! I hope you get stocked up before reading!! I love that you do themed dinners. I would love to try that, but I don't think my family would appreciate the gesture. Have a fantastic weekend. It's wonderfully fun -- I'm lucky my wife and friends are bookish and foodie -- it is a perfect combo! When/if I have a kid, I'm totally going to spam the blog with kid+book pics. I know I won't be able to stop myself!! A 1940s themed dinner sounds like a blast. I hope you get to do it soon! :) Book-wise, I just finished THE SHADOWY HORSES by Susanna Kearsley (loved it! ), and I'm starting THE KING'S DAMSEL by Kate Emerson today. A book themed dinner party sounds like so much fun! I'll be reading The Promise of Stardust by Priscille Sibley this weekend. I loved "Princess Elizabeth's Spy". Now reading "The Healing" by Jonathan Odell. Miss Kitty was our social cat. If the doorbell rang, she sauntered to the door; of course, whoever was ringing it, was ringing it for her. After 17 years with Miss Kitty, we debated whether any other cat could replace her. Of course, that was silly; every cat has its own personality. When my husband went to the vet's to pick up Miss Kitty's ashes to return her to NC where she adopted us, a perky, young tabby sat in a large cage and immediately, it was love at first sight. And believe me, when she looked at my husband, it was like an adoring female (which she was). Miss Kitty loved to sit in my lap while I read; Katy Belle wants undivided attention; bats my books away. When the doorbell rings, she hides. Definitely, the opposite of Miss Kitty. When my husband's illness left us with one month in May, she was next to him on the bed; I had to fight for space. Her grieving was shorter than mine. After all, Frog and I were together for 33 years (3 years in sin; 30 years in marriage, as my husband would tell everyone). Now, she is my best friend. I don't get those "loving" looks that Frog did, but given her history, I am happy to have her to share my memories of Frog, and to keep me straight. Oh, BTW, I am reading Ancient Light by John Banville this weekend. Tomorrow, my siblings and I are going to see the movie ARGO. I am curious now about Nanowrimo! What kind of project are you working on? Reading a book for review that is kind of a drag, so am looking forward to starting The Twelve or else NW this weekend. Finishing up Lola's Secret (which I'm not enjoying :( and headed into Lucky Bunny immediately after. I should finish both of those over the weekend and can get started on my first Jacqueline Winspear! :) Maisey Dobbs, here I come! when i updated my blogroll it helped me a lot because those blogs i like were just, you know, right there :-) good luck with nanowrimo! Hope you're able to have the dinner later, it sounds a lot of fun! You've reminded me that I need to do my blogroll. Our dogs are silly and dont know whether they are being photographed or not! Just starting Human Croquet by Kate Atkinson - an author I've enjoyed reading before. That dinner sounds like so much fun! I hope you will get the chance to have one in the future.